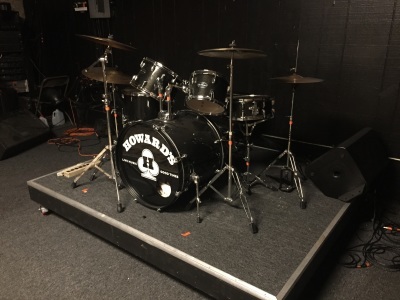 Howard's utilize's professional sound equipment to achieve the highest quality sound for any size band. 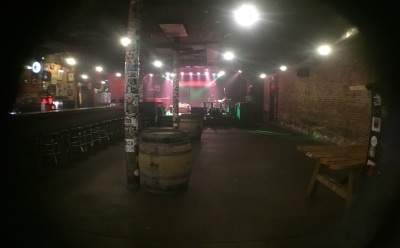 Just bring your guitar and amp, and we'll take care of the rest!The stage is 15' x 24' and is equiped with numerous power outlets as well as 220V hook-ups if needed. The house system includes up to six, individually-mixed, on-stage monitors, as well as Yorkville Subs and Mains for front-of-house. 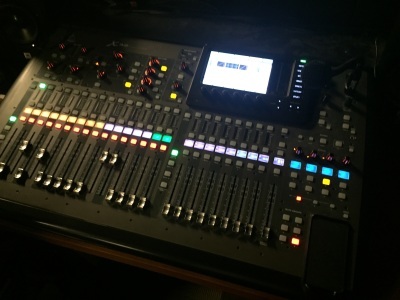 A Behringer X32 Digital console is run by our sound engineer, and is located approximately 25 feet from the front of the stage. We also have recording and mastering capabilities if needed. 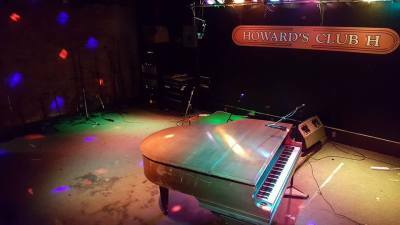 Stage lighting is an important aspect of a good live show, and Howard's has one of the area's best. A new DMX lighting package was installed early in 2017. The Howard's stage lighting is a mix of 90% LED and 10% standard PAR cans. The LED system is computer controlled from the sound booth and includes standard PARs as well as movers and a laser. The back wall of the stage also has a 8' x 12' screen paired with a HD projector that can be used to project band logos, images, or movies. Howard's Lighting Designer can customize any show to fit a particular need. Howard's back line currently includes a 5-piece PDP drum kit, and an electric "baby grand" piano. Both are available for use by anyone taking the stage. The drum riser is 5' x 7' and can be wheeled to any location on the stage.